Integration between popular social media platforms and mobile messaging services is certainly not a new concept. It shouldn’t come as any particular surprise, then, that Kik Messenger users are frequently on Instagram. Also, you’ll find that they reference Kik (and their Kik profiles) on Instagram on a regular basis. Now that everyone in the US has a smartphone in their pocket (and elsewhere in the world, too), it’s a fairly common precedent for individuals to use more than one app for messaging and social media. Since they’re all relatively in competition with each other, it’s not uncommon for each app to carry a diverse set of features that helps it to stand apart from the pack. Facebook is the master of “the feed.” Snapchat is all about digestible media. Kik carries the integrated media messaging and promoted chat niche. 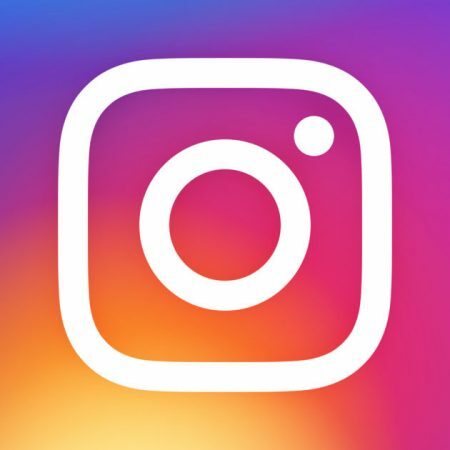 Instagram is a master of allowing users to broadcast their lives to the world, regardless of contact lists and friend requests. Many Kik Messenger users know that you can share your profile over Instagram, already. The feature is built right into the Settings menu in Kik, and the rise of Kik codes have made the process that much simpler. If your aim is to be available for chatting with a broad, diverse audience, then Instagram is the ideal place to share your Kik information. Even a cursory glance at a #kikmessenger search over at Instagram will yield hundreds of recent results, from users sharing both content and profile links. Earning likes and follows on Instagram is a common goal for many of the users on that side of the social media pond, and the media that you find and share on Kik can definitely serve a purpose in other apps. However, there’s a back-and-forth relationship between many users on Kik and Instagram that suits both app’s audiences quite well, without intruding on their respective millions of registered users. How often have you been looking through the comments on someone Instagram post, only to come across a link to their Kik Messenger username? If you haven’t, don’t fret; it’s an especially common practice, and you’re bound to run into it eventually. The first thing that we’ll explore in this article is why people are so eager to share their Kik information, especially through Instagram posts. Second, we’ll go over a few safety tips and recommendations that will help to keep you going strong between Kik and Instagram, thereby avoiding the pitfalls that lead to some people quitting out of frustration. Because the two apps don’t particularly offer competition with one another–they both serve very different purposes–users find it quite easy to juggle between both Kik and Instagram for their own online benefit. The only throughput link between them is that they both offer a unique social experience; thankfully, knowing how to navigate both can help you to improve your experience in each of these respective apps. Instagram and Kik are each remarkably easy to use though one is innately more integrated with your personal life, almost all of the time. Instagram urges users to post moments–usually an image or video clip–from their lives into their feed. As a user generates followers, that posted content can disseminate through others’ feeds, thereby gaining more followers. While this isn’t particularly different from the way that other social media platforms function, Instagram focuses almost exclusively on media, rather than text. Kik, on the other hand, is a much more direct communications app. While messages can certainly be media rich, the intention of Kik is to allow users to talk to each other with the same privacy offered by most text-messaging services. How do the two apps combine, then? With a bit of courage and some reflection on what you want out of your Instagram and Kik experiences, both. This is such a popular move that the Kik developers built it right into the app. Using Kik’s settings, you can share your Kik profile directly through Instagram without any unnecessary copying or pasting. Use the “Settings” button (the little gear, found in the lower or upper right of the main Kik window) and then select “Share Your Profile.” (It’s easy, right? Bear with me! Specificity is important!) From there, you’ll be given a list of popular social media platforms to share your information through, including Instagram. As far as app-to-app communication goes, it doesn’t get much easier than this. It also doesn’t get much more complicated, since this is the only way that Kik communicates with Instagram. Vice versa, though? Things get a little more interesting. Read on! When you begin to explore the presence of Kik users within the Instagram app, you’re going to discover an entire subcommunity that shares information and contact details with each other. Can it be a bit alarming, at first? Absolutely! As much as I’m constantly urging our readers to be wary of sharing their usernames with people they don’t know, recommending that you post that very same Kik username within someone’s Instagram comments–or share your profile widely, through Kik–seems to run in the face of my own advice. Trust me when I say that it does require some caution, but that’s not necessarily a reason not to do it. The same warnings still stand, after all: you don’t want everyone and their mother to get ahold of your unique username. Once it’s in their hands, they’re free to contact you on Kik with chat requests, and repetitive use of the “block” feature can wear out pretty quickly! Would you rather just share with your Instagram followers? For those who don’t want to chat with the entire world, simply set your Instagram feed to “Private” before you post anything with a #KIK or #KikMessenger tag. If privacy is important to you, the above two questions are worth your time and consideration. Even the most chat-happy of Kik Messenger users don’t want to have a thousand people banging down their door after getting ahold of a username, so be mindful of how (and where) you choose to share yours. If it’s in the Instagram comments of someone with a huge number of followers? Get ready for the flood. In the comments of someone with a few followers, most of which you already know? Get ready for a slow trickle of friends. For this reason, more and more Instagram users that want to chat with their followers are turning to Kik as the most reliable solution. There’s far less back-and-forth required in order to get people talking to each other, and Kik features support for the media heavy messages that Instagram users are fond of. It should also be cautioned, however, that if you’re expecting an influx of Instagram users into your Kik contacts list, you might want to change your display name to a common nickname. Internet safety rules apply once more; the last thing that you want is random people who you don’t know getting ahold of your real name when they follow your username from Instagram. It pays to think ahead, and your own safety and privacy will thank you for the precaution! While the mobile messaging app future is always in flux–it’s a volatile market out there!–as it stands right now, Kik Messenger and Instagram fit together beautifully. Users who are looking for more people to connect with can avoid the hassle of endless search engine queries and take to the Instagram community, where plentiful Kik users are already finding each other on a regular basis. Have you found any new friends and context through cross-posts from Kik Messenger to Instagram or vice versa? Everyone’s results may vary, so tell us about your experiences in the comments below!